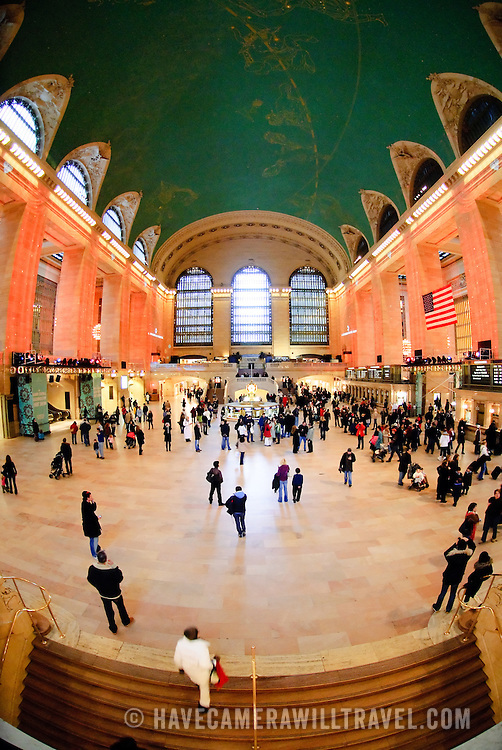 Main concourse of New York's Grand Central Terminal (Grand Central Station) with fish-eye extreme wide angle. © 2010 David Coleman. All rights reserved.